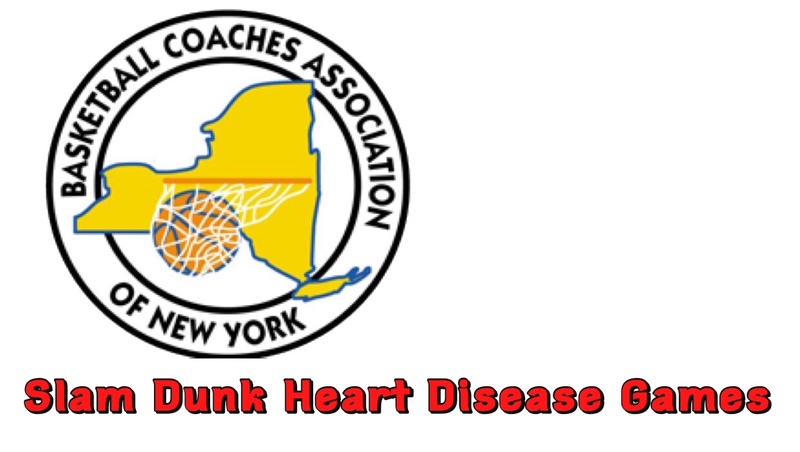 Starting at 10:00 A.M today, the BCANY Slam Dunk Heart Disease Games will be on at Mount Saint Mary College in Newburgh. All the money raised will go directly to the American Heart Association. The event is co-sponsored by BCANY (Basketball Coaches Association of New York) and the OCBOA (Orange County Basketball Officials Association). The referee fees will also be donated to the American Heart Association. S.S Seward vs. Chester, 10 a.m.
Washingtonville vs. Monticello, 11:45 a.m.
Cornwall vs. James I. O’Neill, 1:30 p.m.
Minisink Valley vs. Valley Central, 3:15 p.m.
Goshen vs. Fallsburg, 5:00 p.m.
I’ve went to the Slam Dunk Heart Disease Tournament for the last three seasons and have thoroughly enjoyed it each time. It supports a great cause and you get to see some great Section 9 basketball games. If I wasn’t in London right now, I’d sure as hell be there. It’s one of the few basketball games in the season where everyone in attendance is genuinely happy.